Ideal for larger wrists, the clock and alarm modes keep you on schedule and the timer mode is great for all kinds of uses—like getting schoolwork done efficiently, juggling projects at the office, managing medications or even working out at the gym. Intuitive design makes the Time Timer Watch PLUS easy to use. All the benefits of the Time Timer on your wrist! Increases indepence and mobility for all who benefit from time management. A complete new design, available in youth (junior) and adult (senior) size. *This Time Timer watch is water resistant. 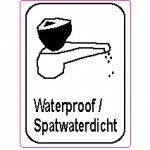 It will resist splashes of water like washing your hands, doing dishes, (light) rain and perspiration. 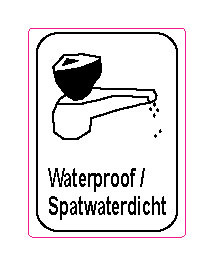 Not suitable for showering, bathing and/or swimming. Time Timer® watch Plus is available in 2 sizes: youth (junior) and adult (senior). The new and improved Time Timer Watch (small) is now available in fun new colors with an improved display! The digital time display in clock mode is larger and easier to read, and the entire screen has a crisper display. The bright color will bring a smile to your face and fun to your day. 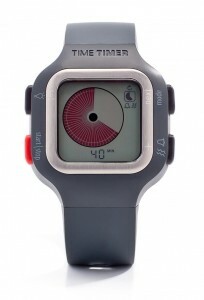 Award for Time Timer® watch Plus! The Time Timer watch has won the Organizors’ Choice Award in 2014. This is an award for a product designed to help individuals and businesses to get organized and stay productive. The Time Timer watch Plus has won the award in the category: ‘Best Solution for Personal Productivity’. Needless to say we are very proud to have won this award! 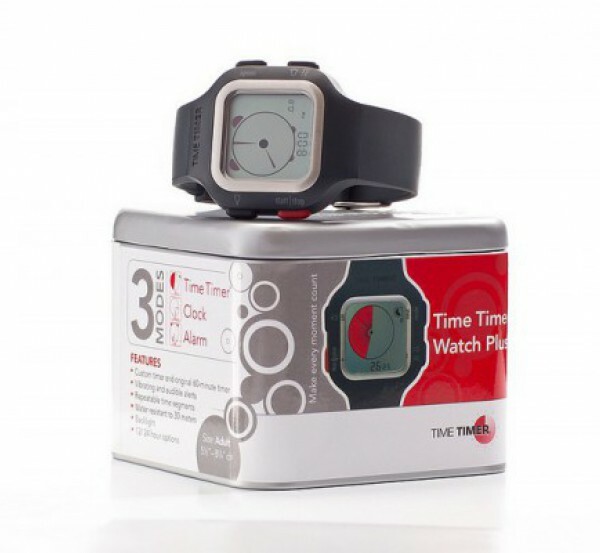 The Time Timer watch comes in a nice re-usable tin. NEW! 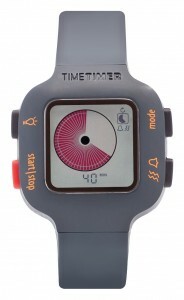 Time Timer watch is now also available in colour!